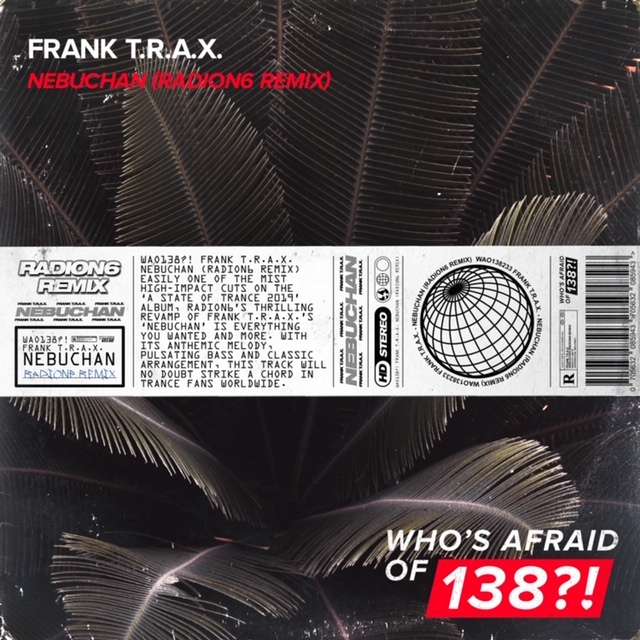 Today my remix of Frank Trax’s – Nebuchan came out! Armada wrote about our remixes:Easily one of the most high-impact cuts on the ‘A State Of Trance 2019’ album, Radion6’s thrilling revamp of Frank T.R.A.X.’s ‘Nebuchan’ is everything you wanted and more. With its anthemic melody, pulsating bass and classic arrangement, this track will no doubt strike a chord in Trance fans worldwide.